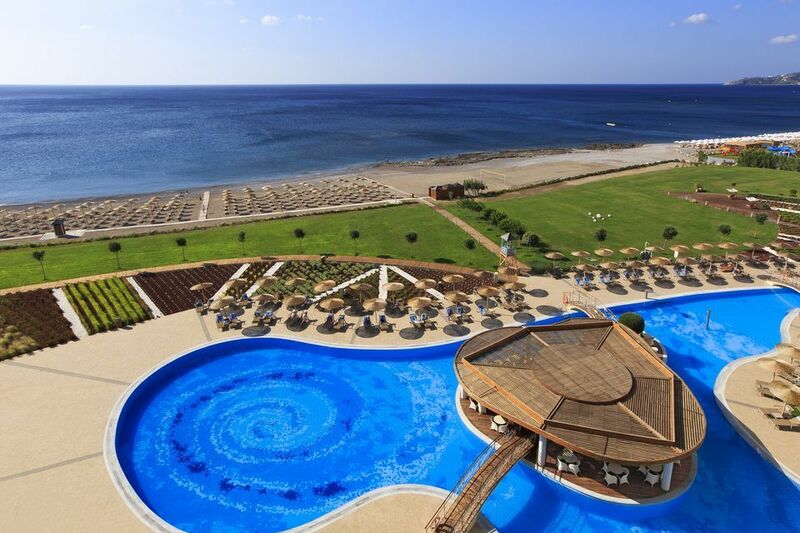 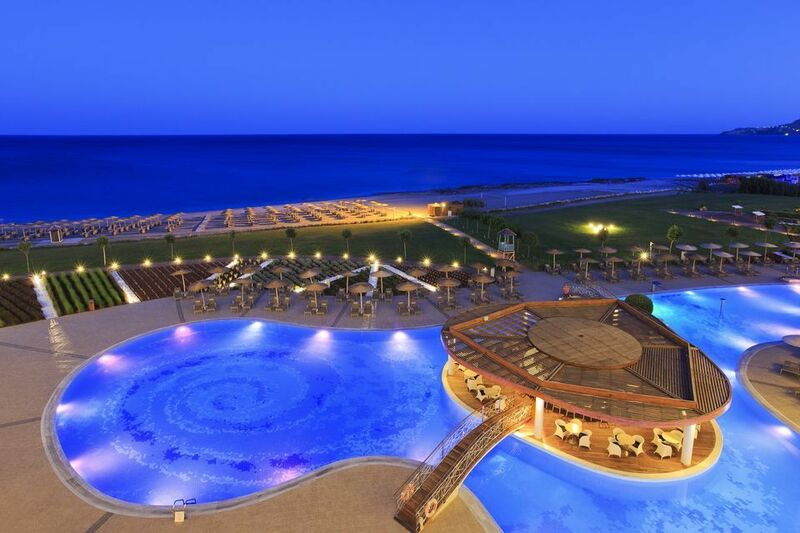 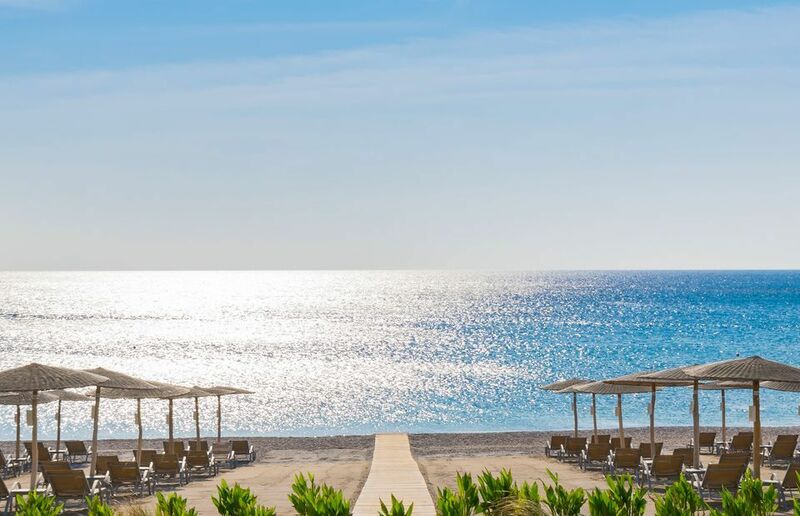 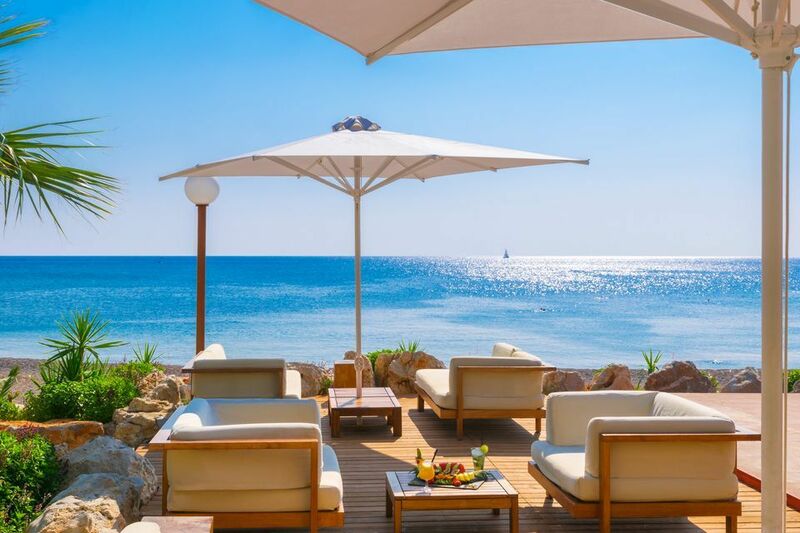 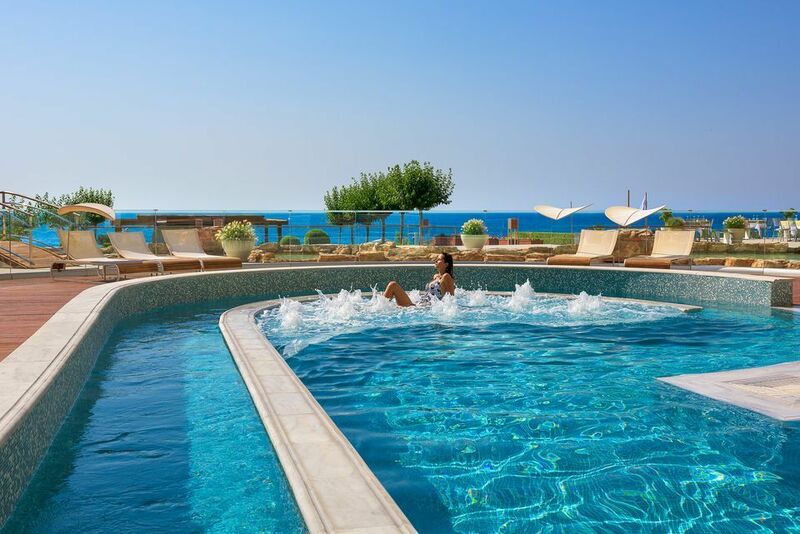 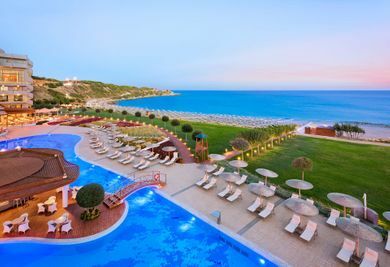 Elysium Resort & Spa is Rhodes' premier 5 star deluxe beach front resort hotel built in with contemporary style architecture in 3 separate buildings: Main building with 8 floors and an impressive atrium with 3 panoramic lifts and a large garden lagoon at the ground level. 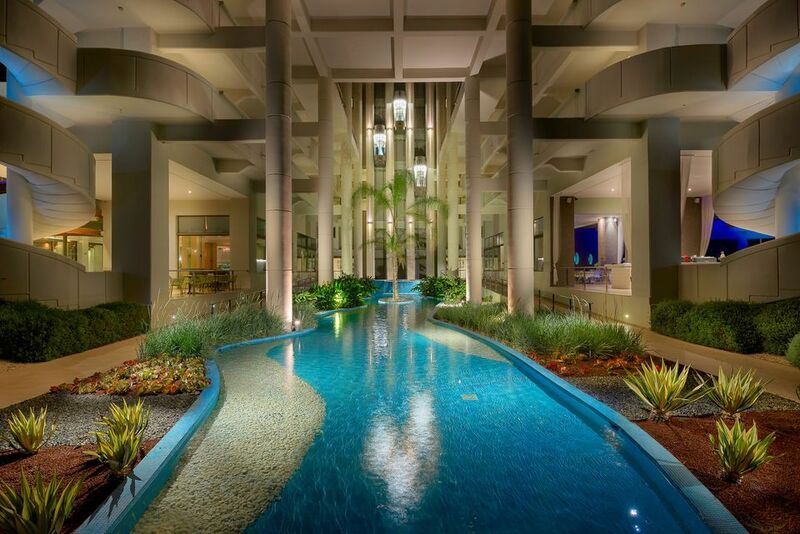 Two separate additional wings with 7 and 6 floors respectively. 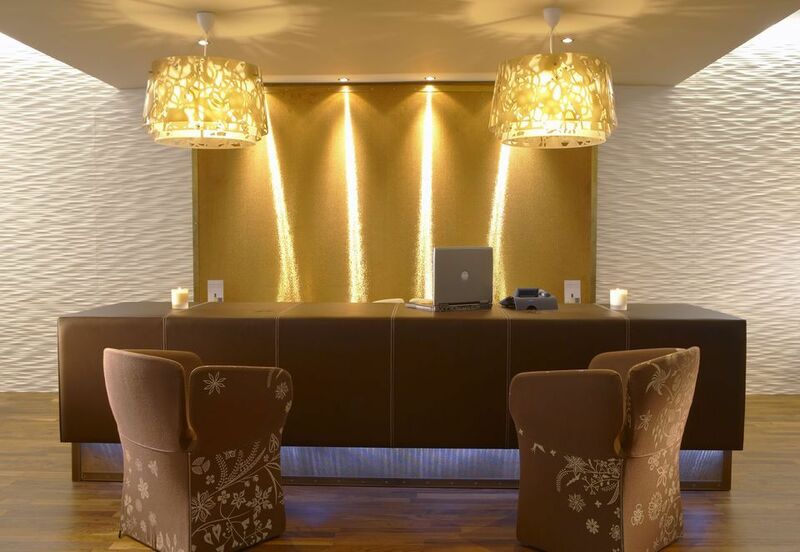 Elysium hotel is distinguished by the elegant decoration and upgraded aesthetics in both public areas and the guestrooms. 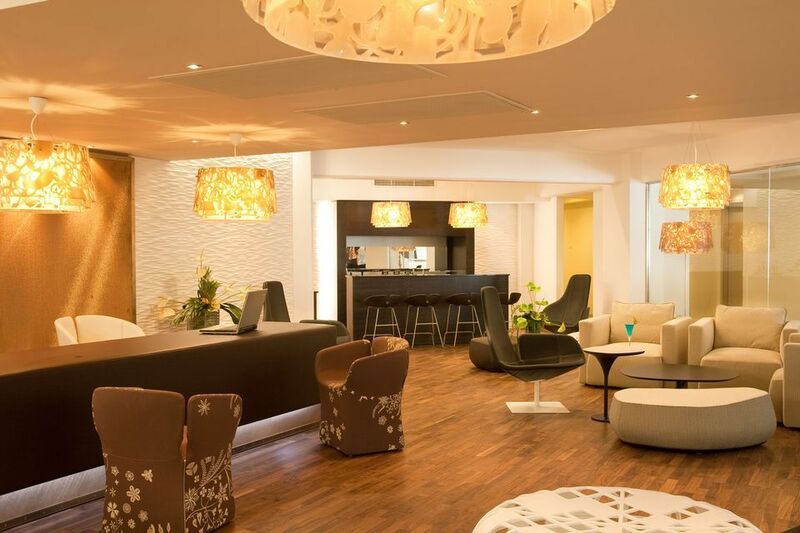 Free Wi-Fi is available in all rooms as well as in all public areas. 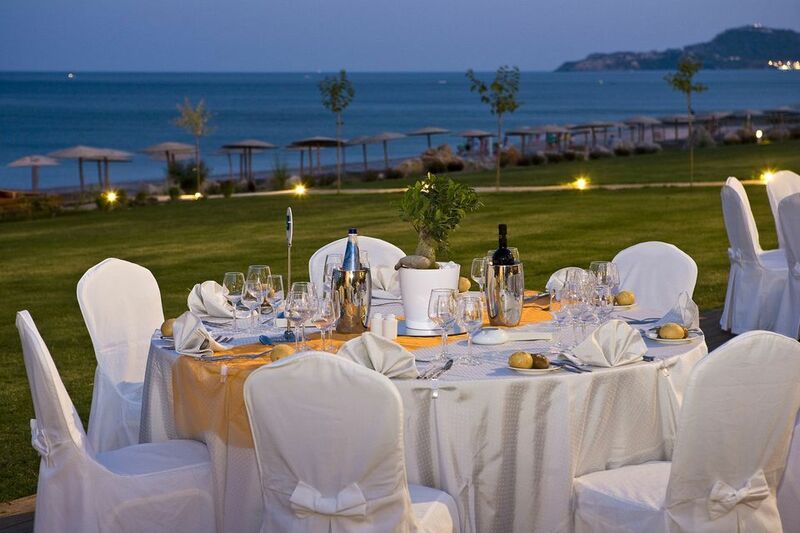 Luxury, style and quality of service are the core values that make Elysium stand in a class entirely on its own. 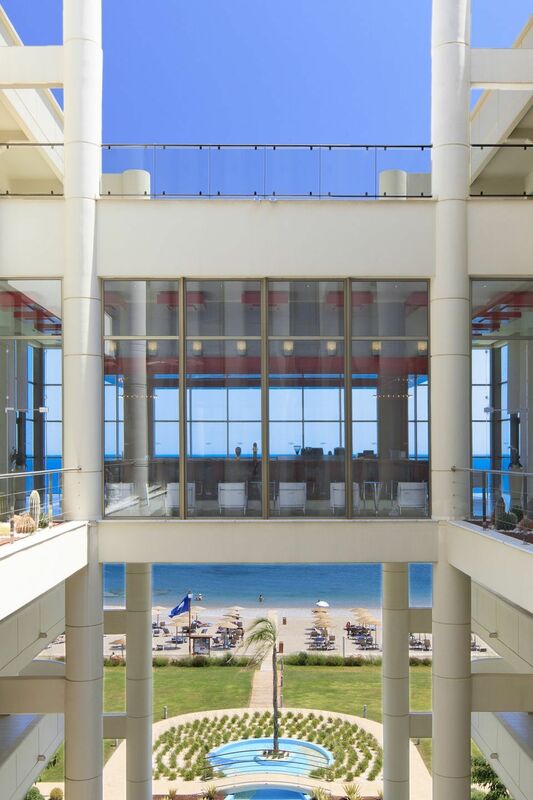 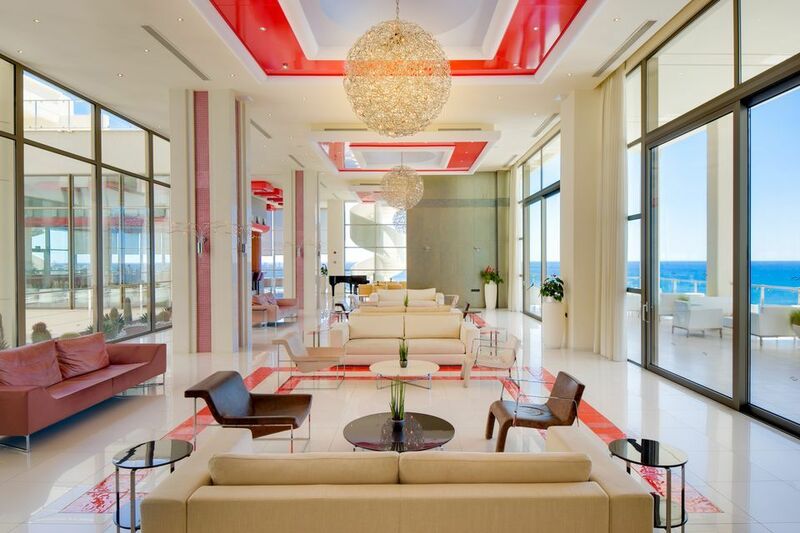 The Elite Club is the executive floors of the Elysium and offers to distinguished guests an exclusive holiday experience by providing personal attention to fine details, as well as upgraded facilities and services. 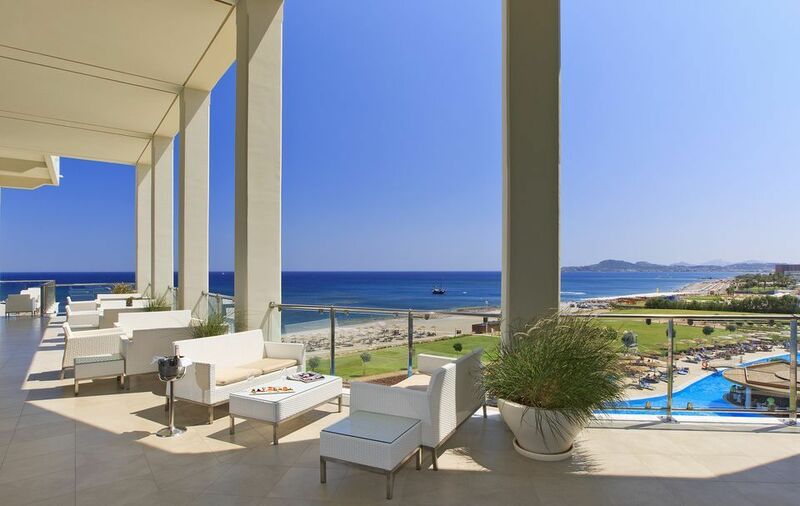 The Elite Club occupies 2 floors on the main building with 64 sea view rooms of all types (Standard, Superior, Junior Suites, Luxury Suites and Presidential Suites), with their own check-in area and lounge exclusively for the guests of the Club. 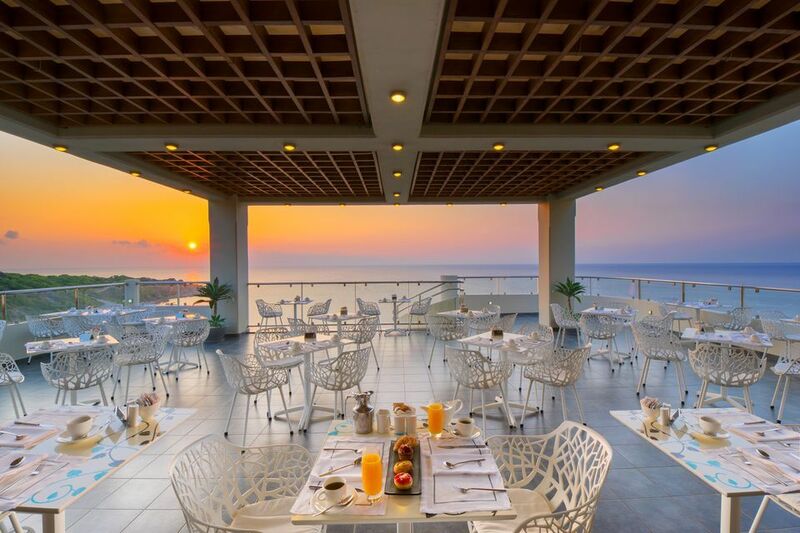 Exclusive restaurant for breakfast (Roof-top panoramic restaurant) serving enriched American buffet breakfast. 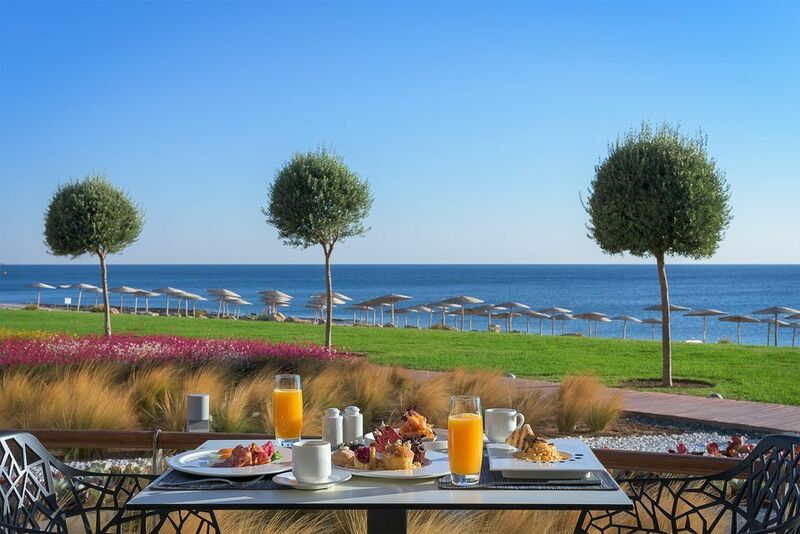 Emerald Restaurant serves full American breakfast buffet, with Greek traditional items served at the main restaurant and its terrace. 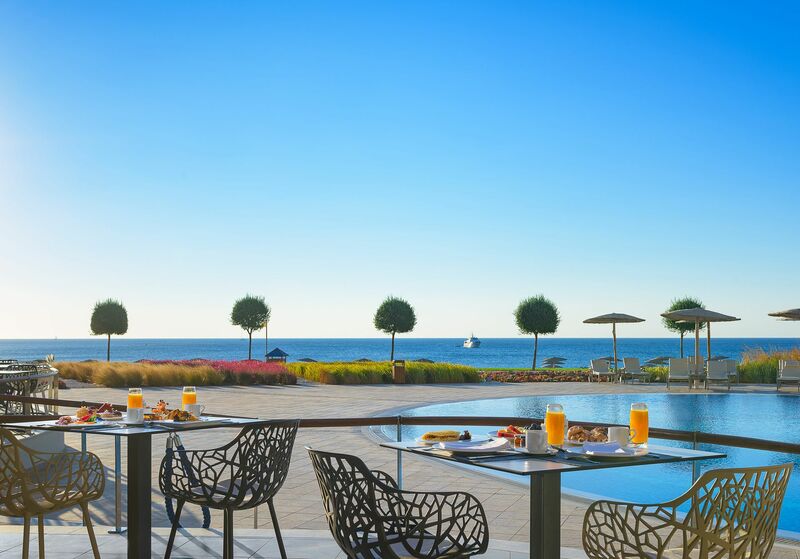 Elite Club guests have at their disposal their own exclusive restaurant for breakfast, at the Senses rooftop panoramic cafe, serving enriched American buffet including Greek traditional items. 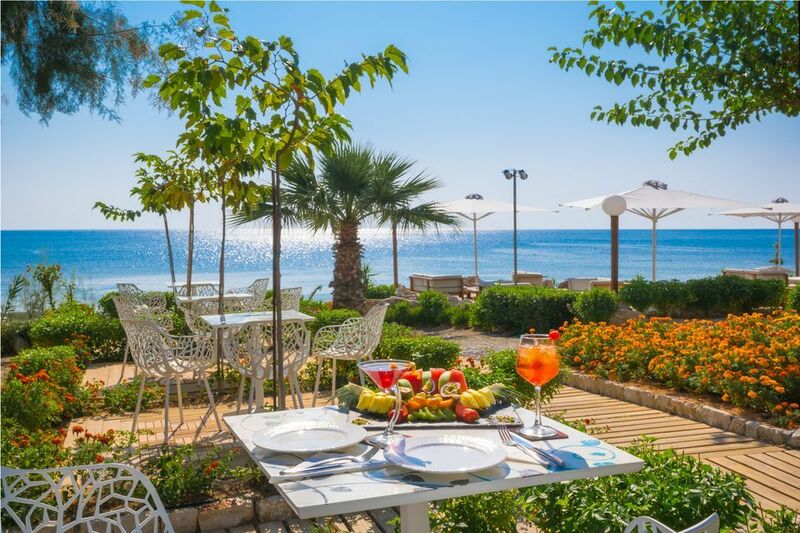 Lunch: Fresh a la carte restaurant by the pool with adequate terrace at the ground level serving local and Mediterranean delicacies in an authentic atmosphere. 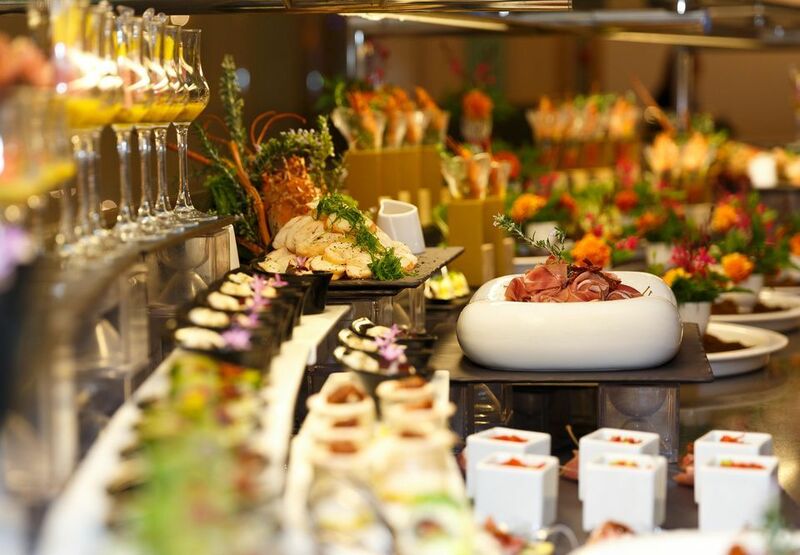 Emerald main restaurant with spacious terrace at the ground level will serve a table d’hôte menu based on international cuisine. 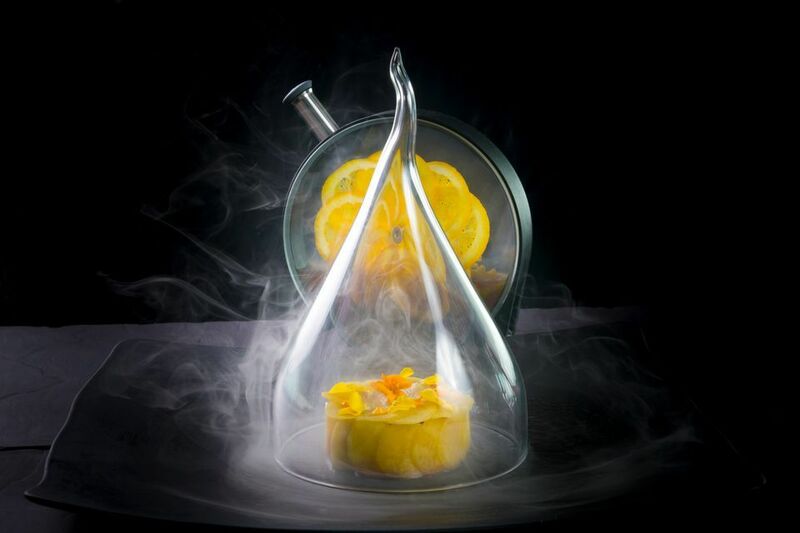 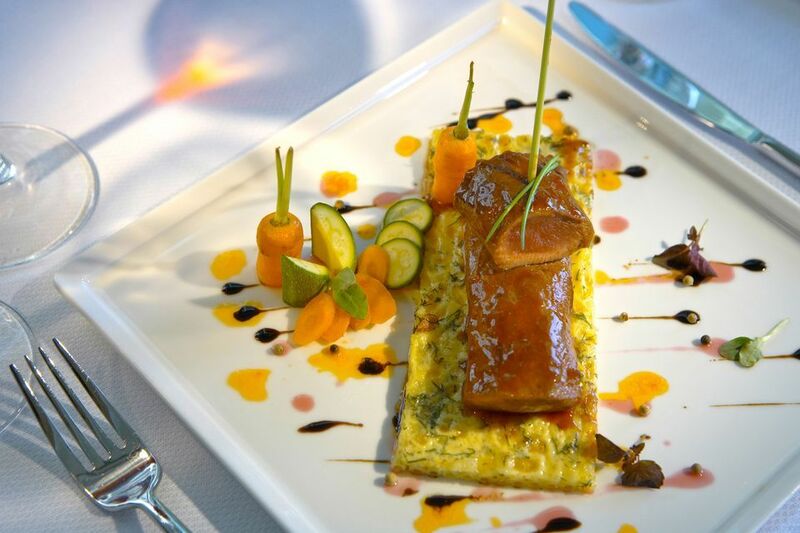 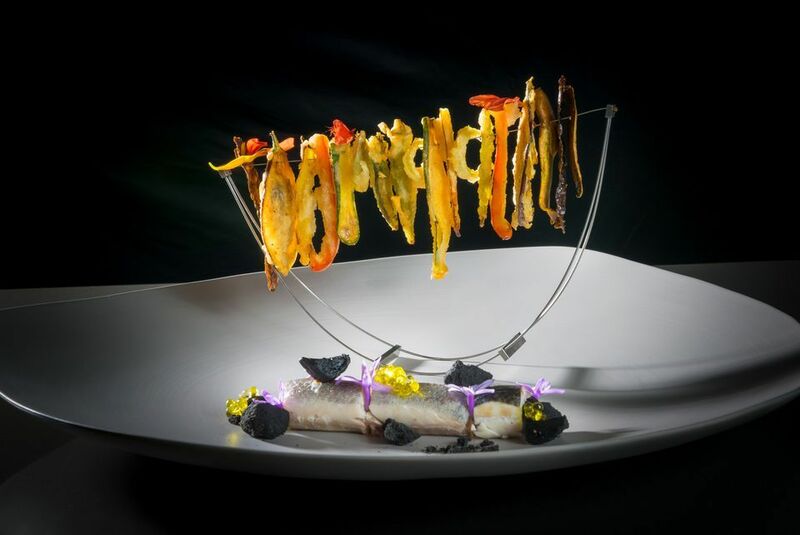 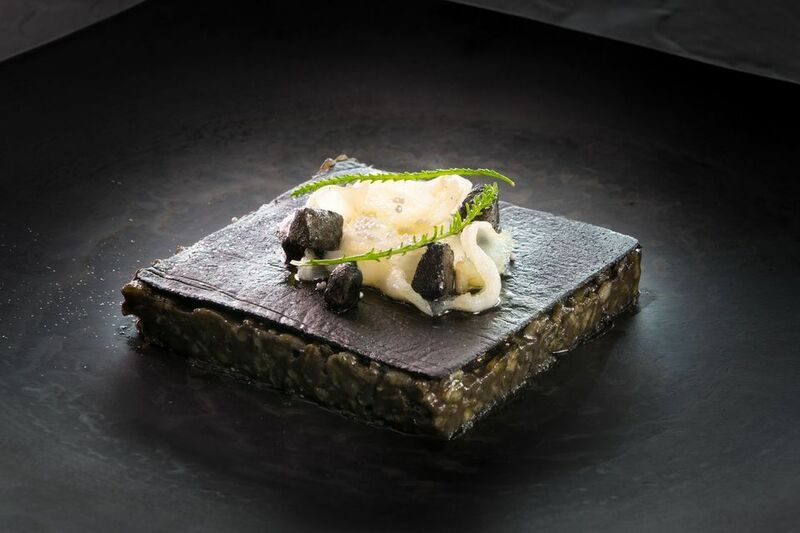 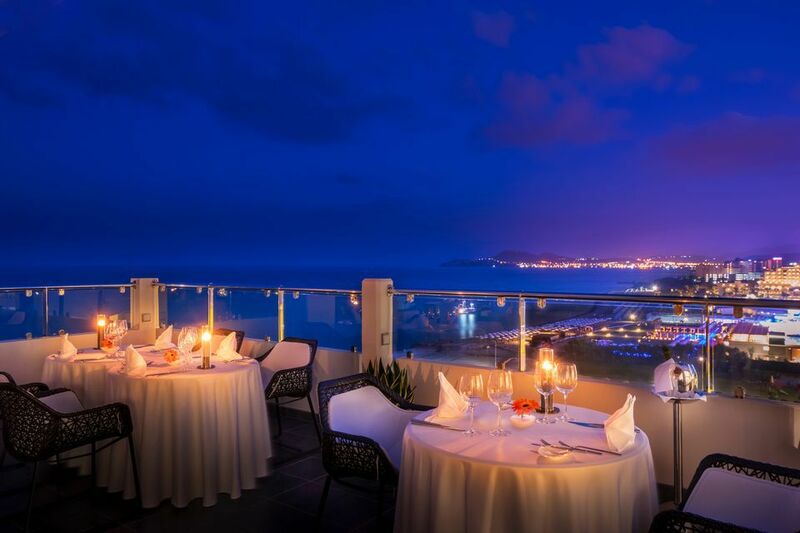 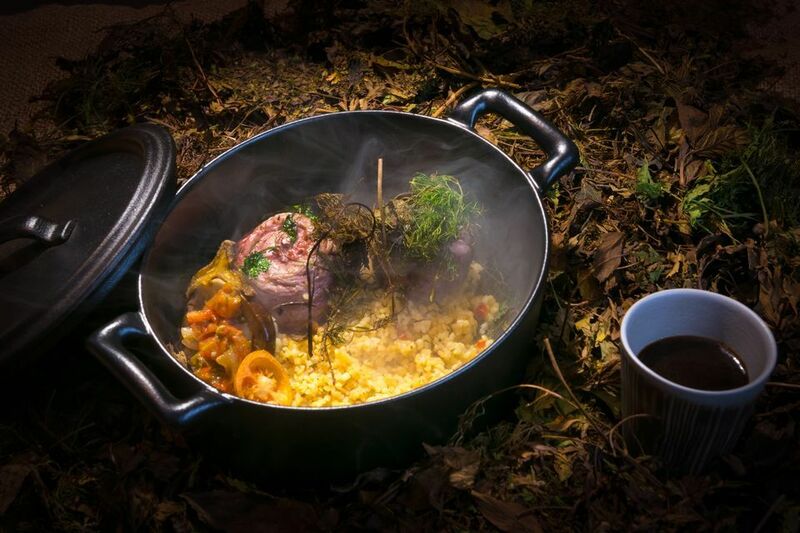 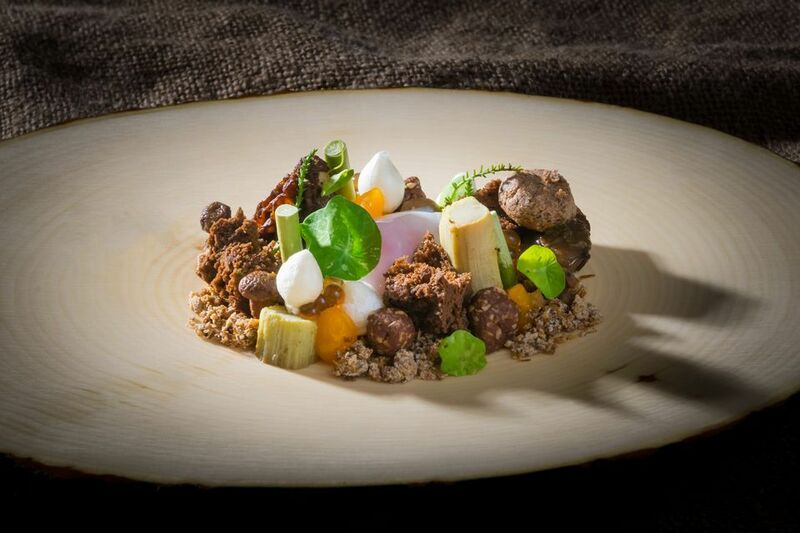 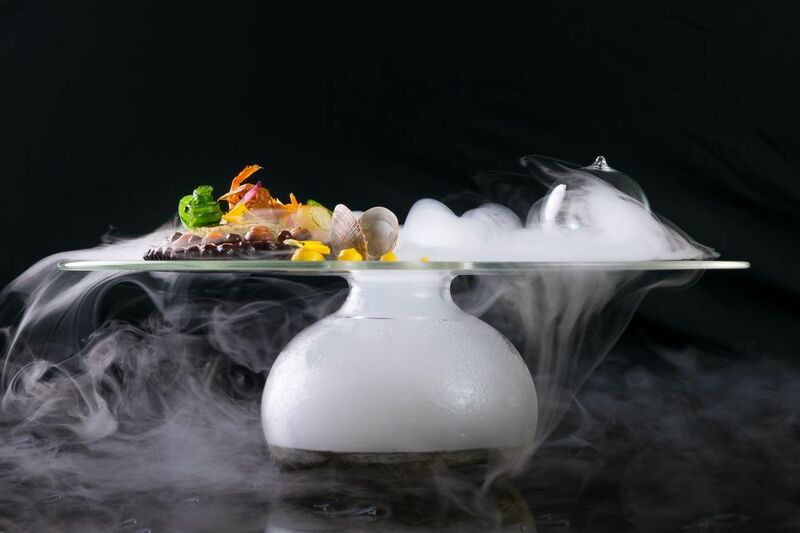 Noble a la carte gourmet restaurant is located at the top floor of the main building offering panoramic sea view with interior decorated in post-modern style; serving modern European cuisine including a menu dégustation. 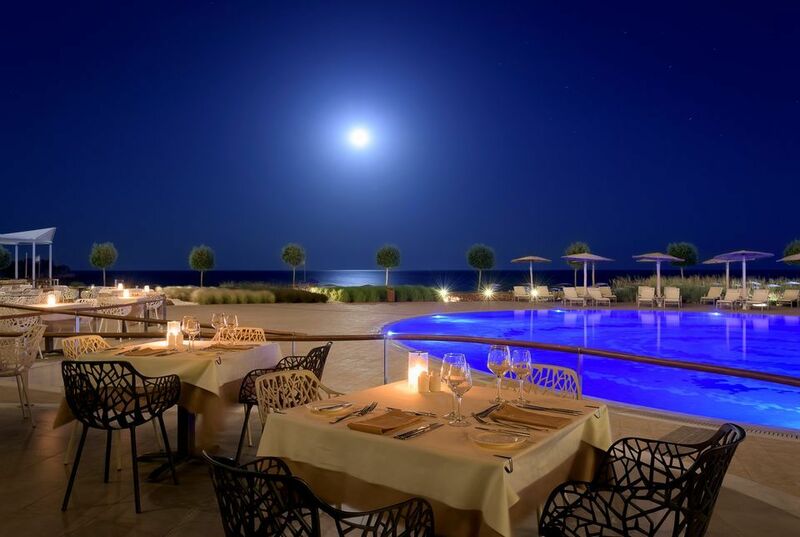 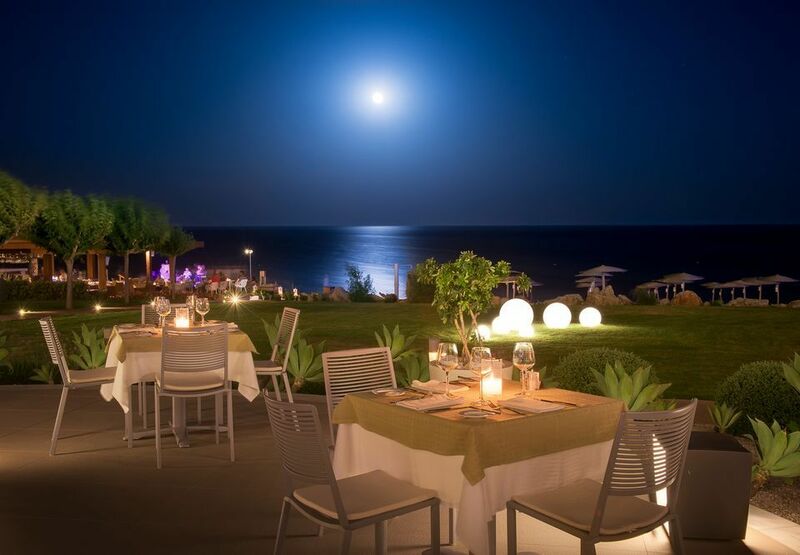 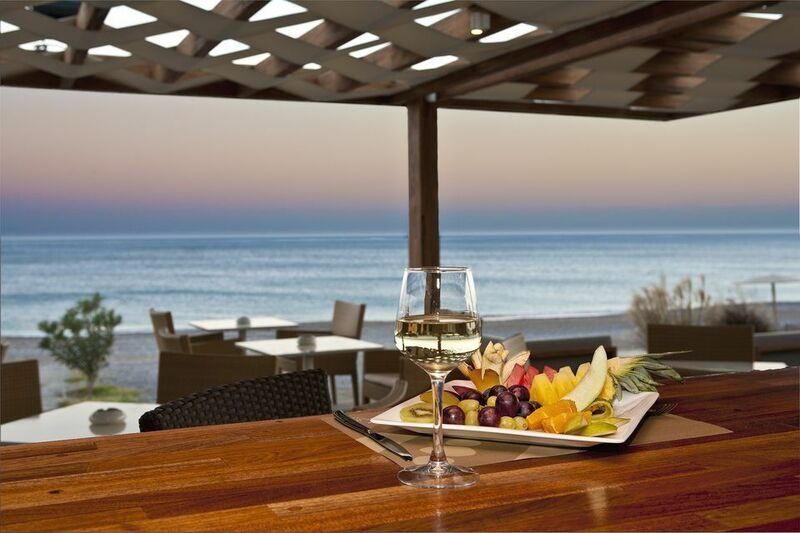 Fresh a la Carte Restaurant by the pool with adequate terrace at the ground level serving local and Mediterranean delicacies, including stone grill dishes, in an authentic atmosphere. 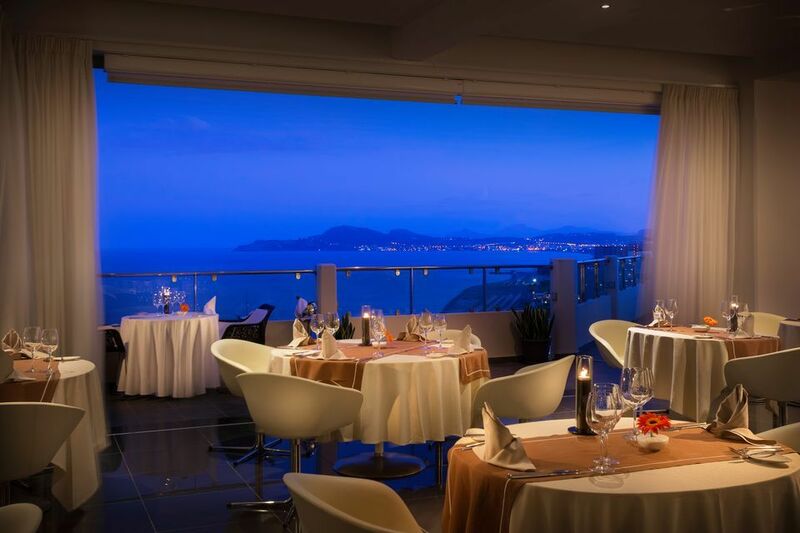 Dress Code: Gentlemen are kindly required to wear long trousers during dinner in the Emerald Restaurant as well as in the Noble Gourmet Restaurant. 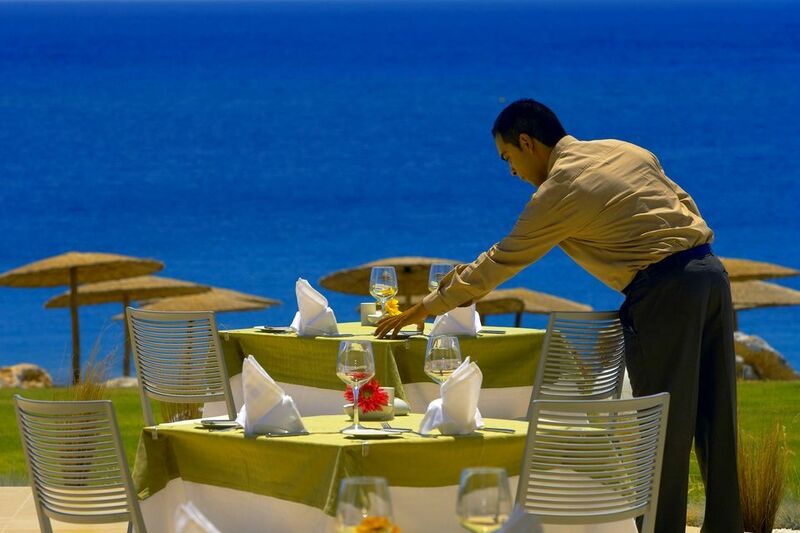 To reflect the resort nature of the hotel, in the Fresh Mediterranean Restaurant gentlemen may dine with smart casual short pants. 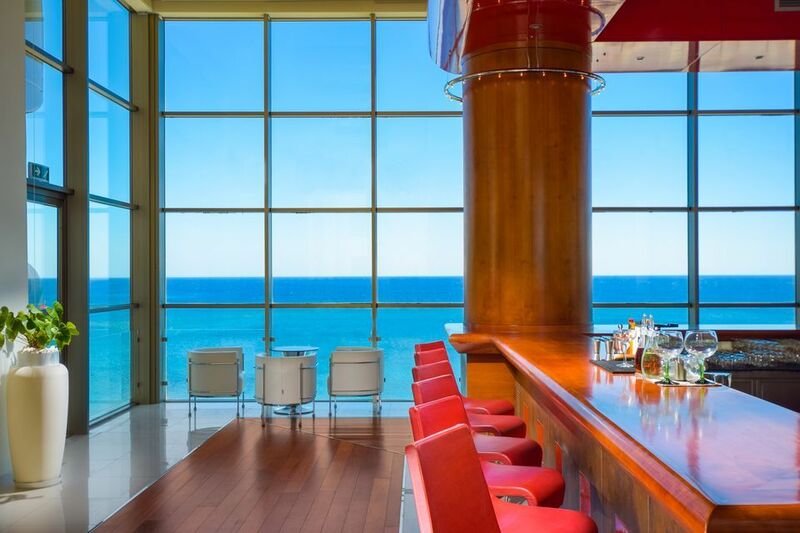 Crystal Lounge Bar with its impressive architecture above the atrium, its large window panels and its open-air terrace, allows customers to relax while overlooking the Aegean and the lush gardens. 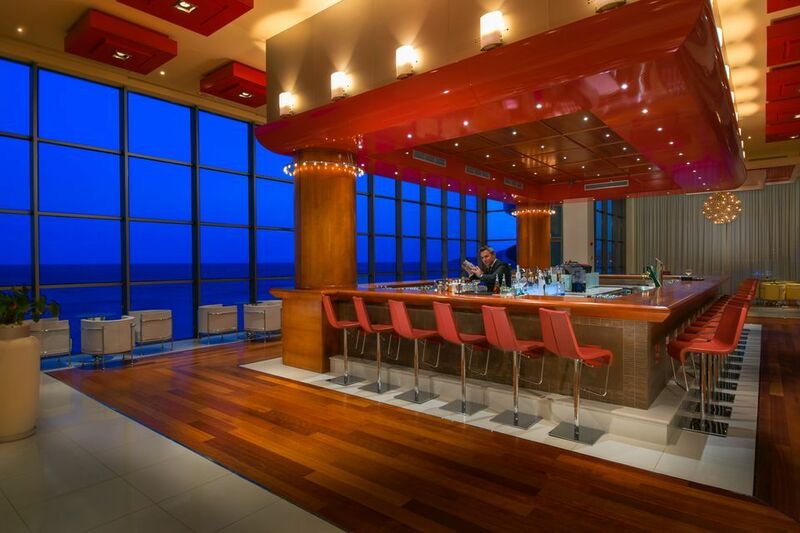 Live piano melodies accompany guests while enjoying unique theme night cocktails. 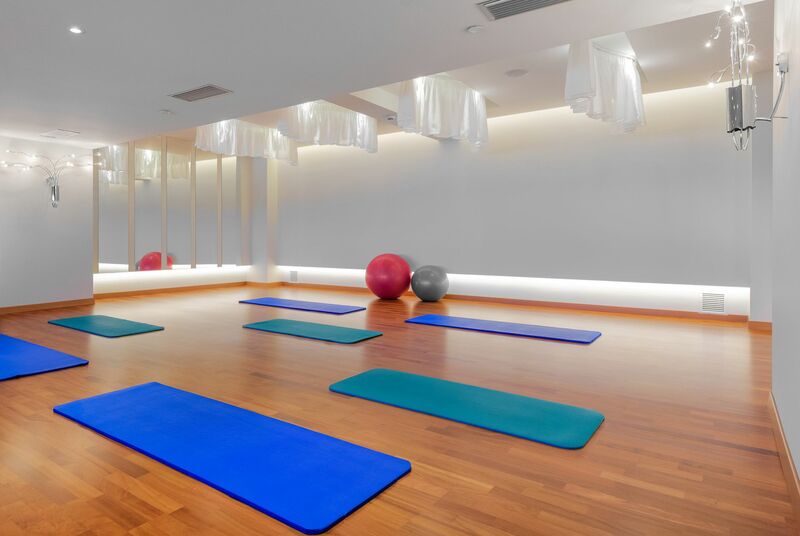 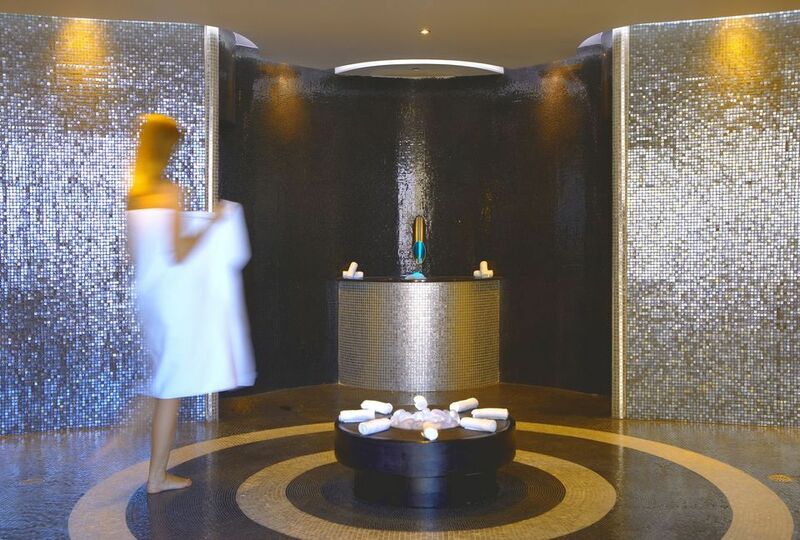 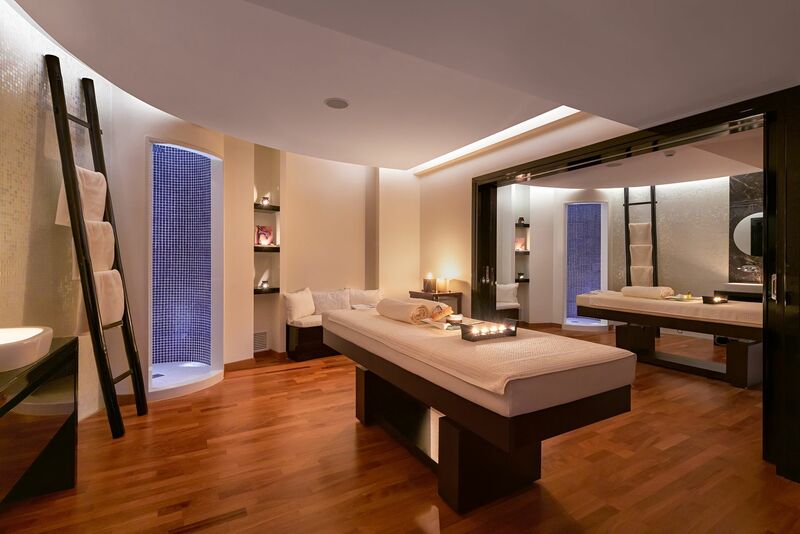 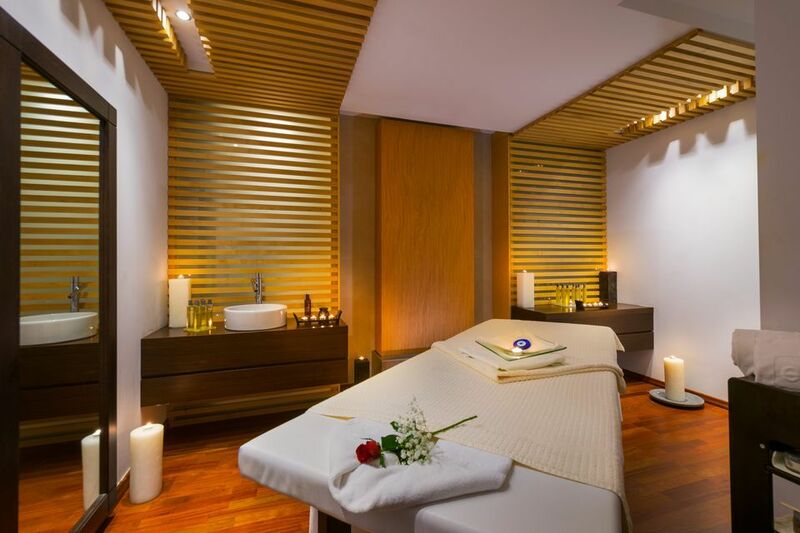 Spa: State-of-the-art spa offering the world-renowned ESPA treatments & products, with a dedicated area of 800m2 featuring a reception lounge, 14 separate treatment rooms, Yoga & Pilate studio, relaxing area and an outdoor pool with hydromassage. 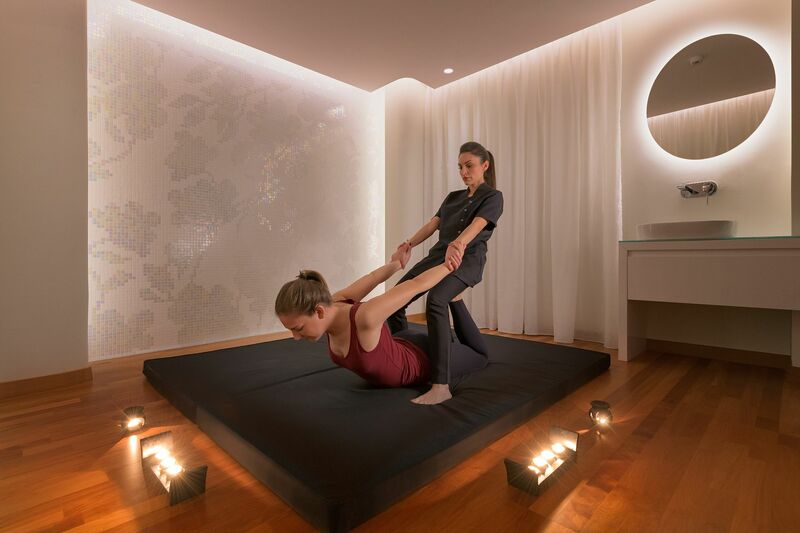 The Spa offers a wide range of ESPA signature rituals, facial and body treatments focused on releasing stress and tension whilst promoting inner balance and harmony. 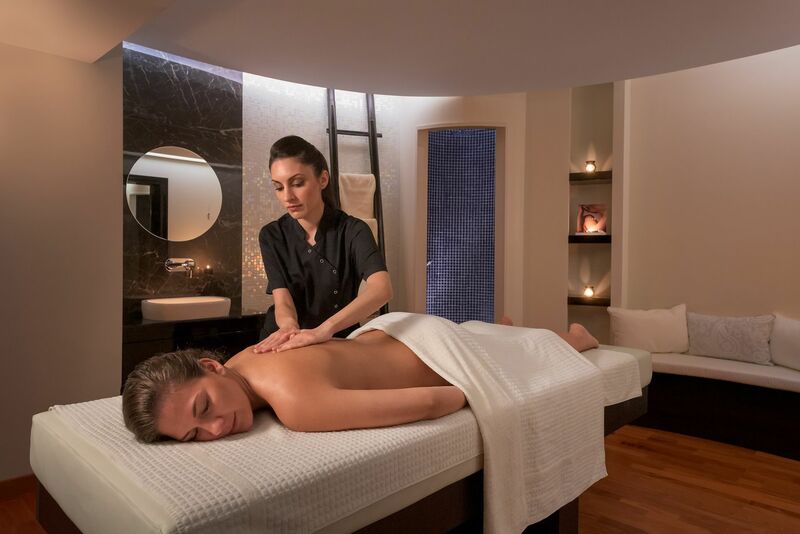 All guests having a treatment within the Spa will be offered complimentary use of the Spa facilities, which include the luxurious Heat Experiences and the outdoor hydro massage pool. 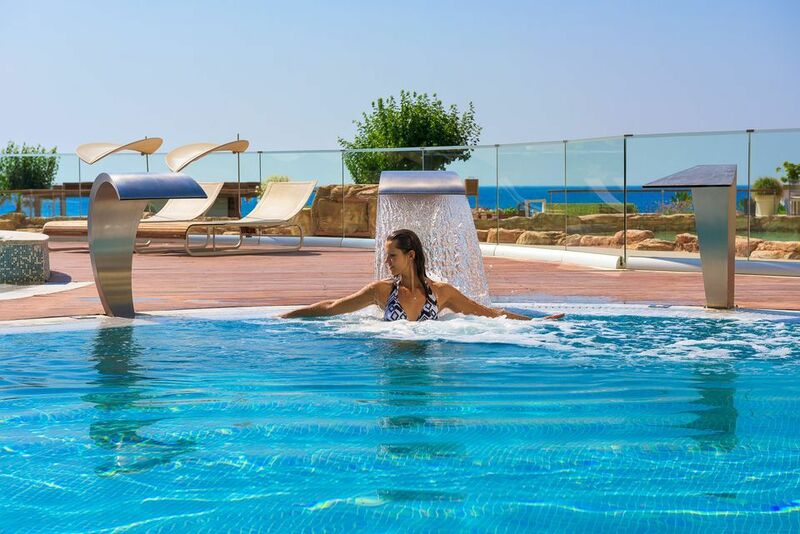 Pools: Two outdoor pools: Lagoon style pool (1610m2), as well as a second separated smaller outdoor pool for kids and a pool with hydro massage (140m2) exclusively devoted to Spa guests. 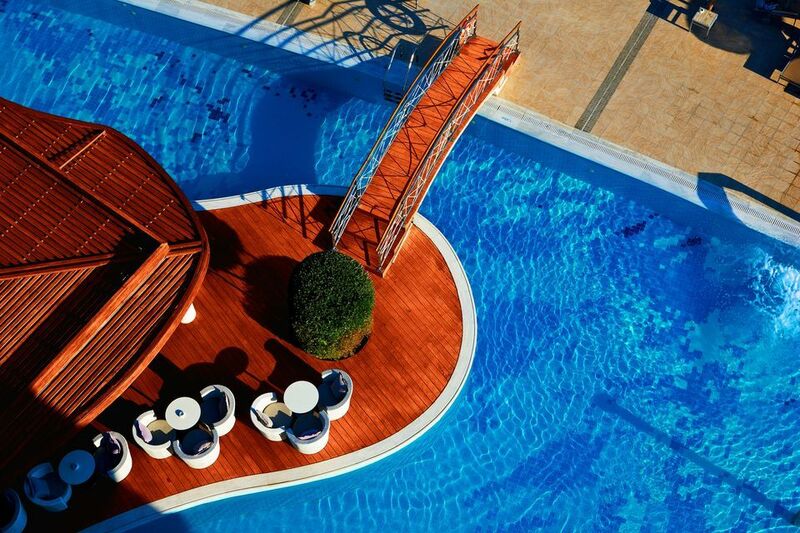 All pools are with fresh water. 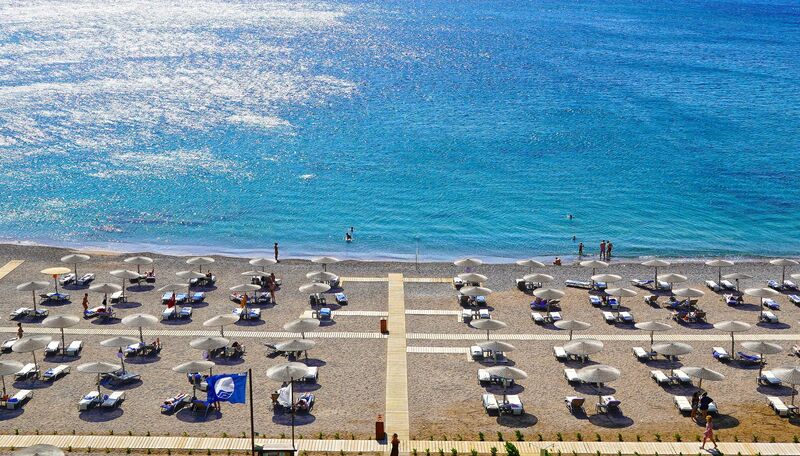 Beach: 400m long sandy & shingle beach directly in front of the hotel. 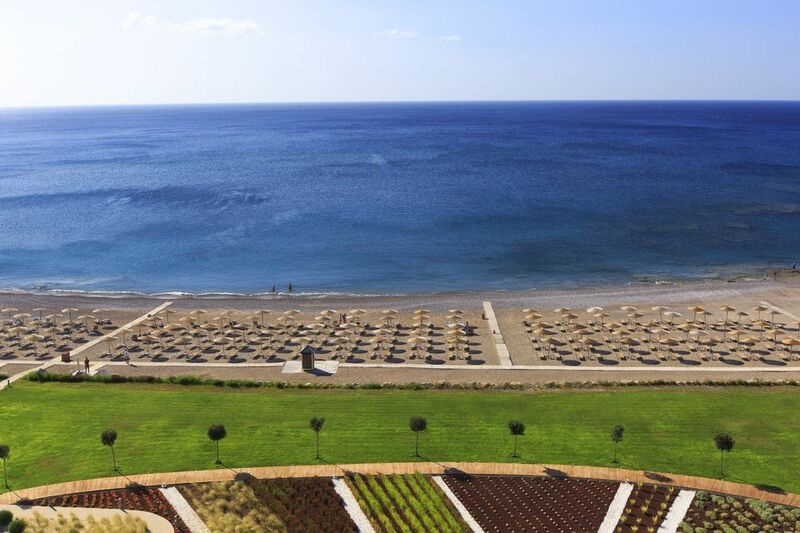 Sun beds & umbrellas, both at the pools and on the beach, as well as beach towels, are available for hotel guests free of charge. 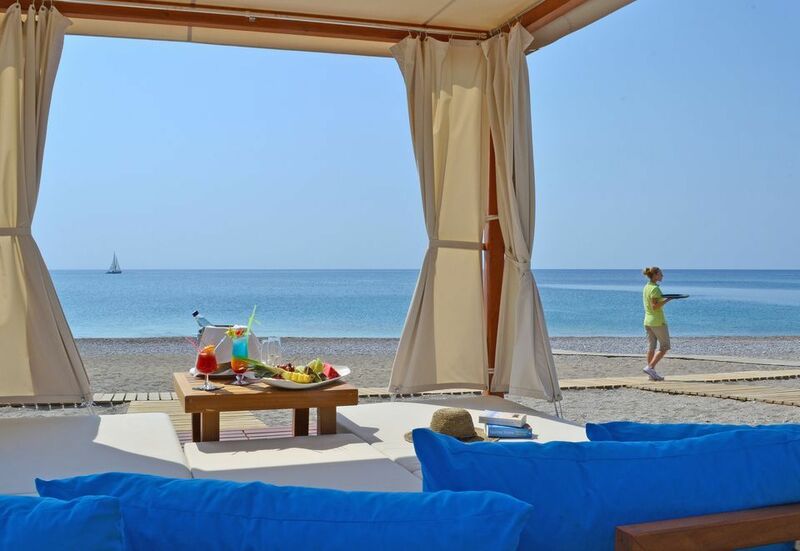 Beach Suites (gazebos) available on a daily charge. 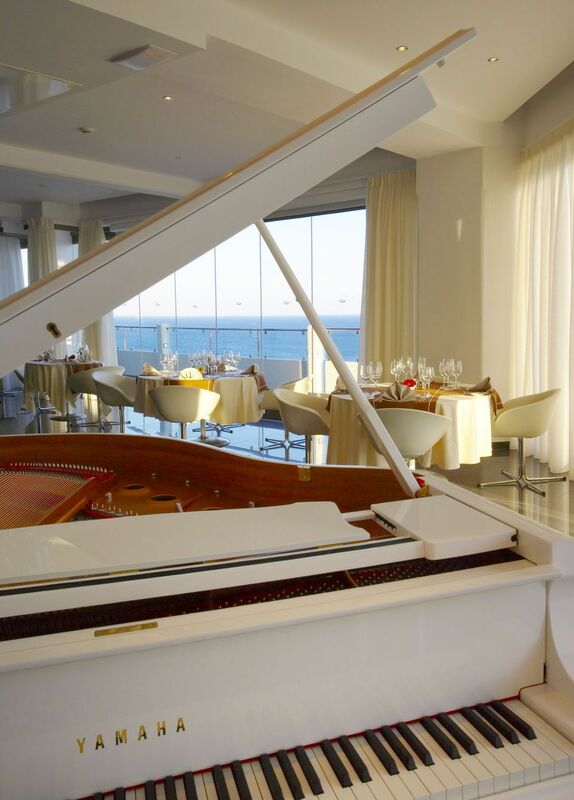 Entertainment: Live piano music at the Crystal Lounge Bar and at the Noble Gourmet Restaurant. 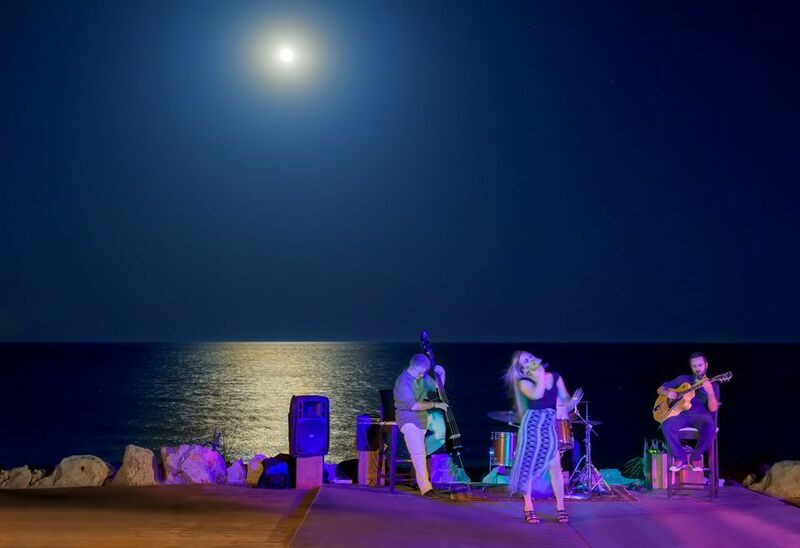 Soft, evening entertainment shows and various theme nights are featured on a daily basis between June and September (in low season this depends on weather conditions). 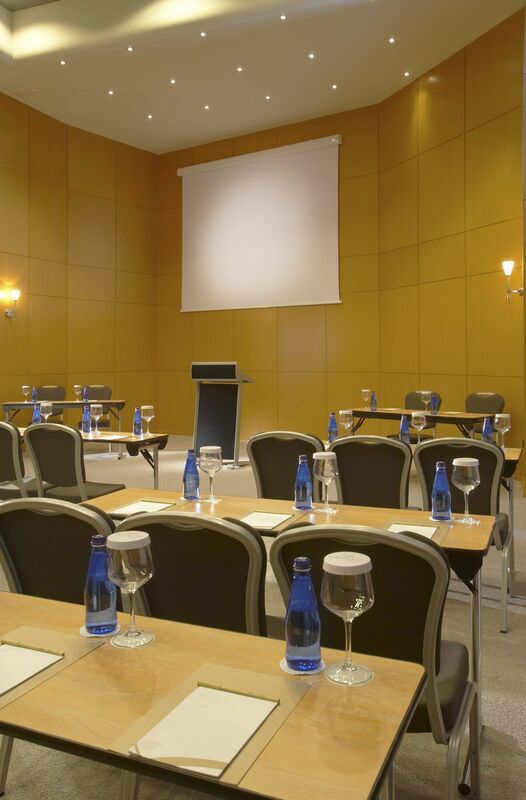 Conference & Incentives: Elysium Resort & Spa features two fully equipped conference rooms (140m2 each) with state-of-the-art AV technology. 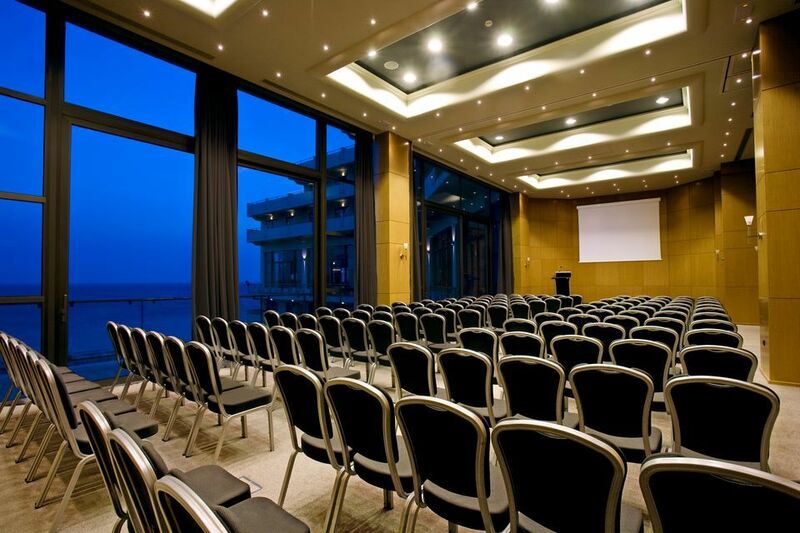 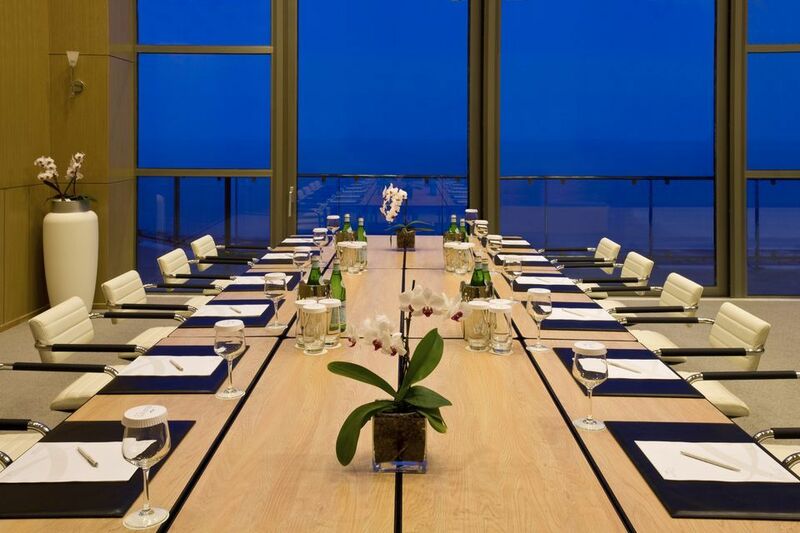 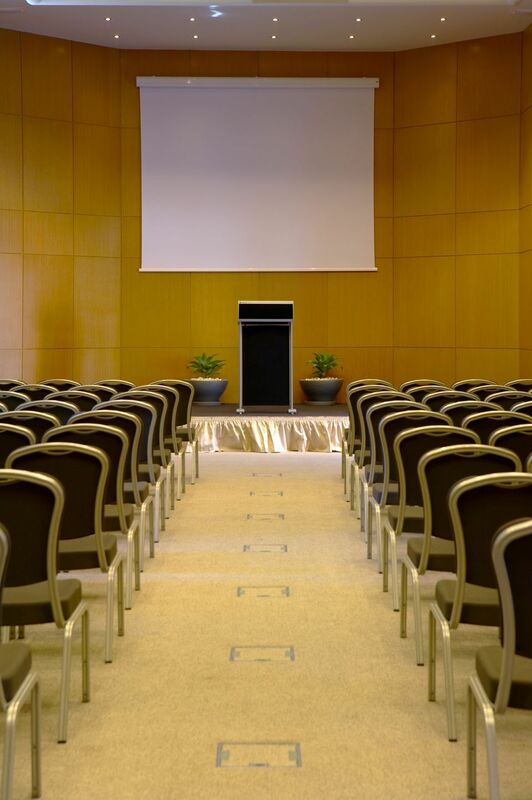 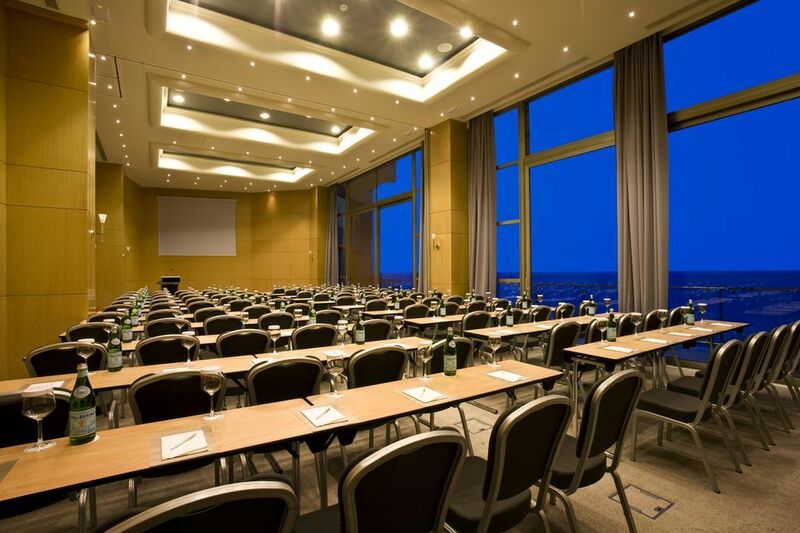 Each room with a capacity of up to 180 delegates in a theater style, can be separated into two rooms of equal size (70m2 each) and has natural daylight through large panoramic windows that offer magnificent sea views. 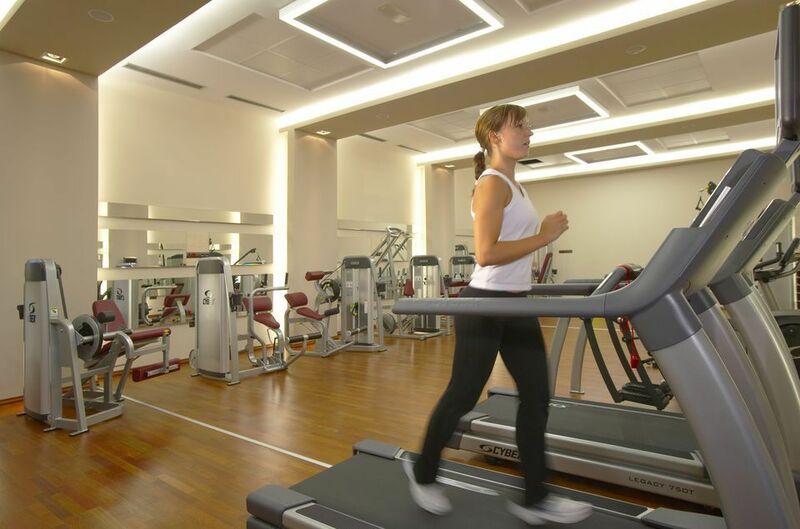 Energy Conservation: The hotel operates under a BMS (Building Management System) to enable efficient energy management. 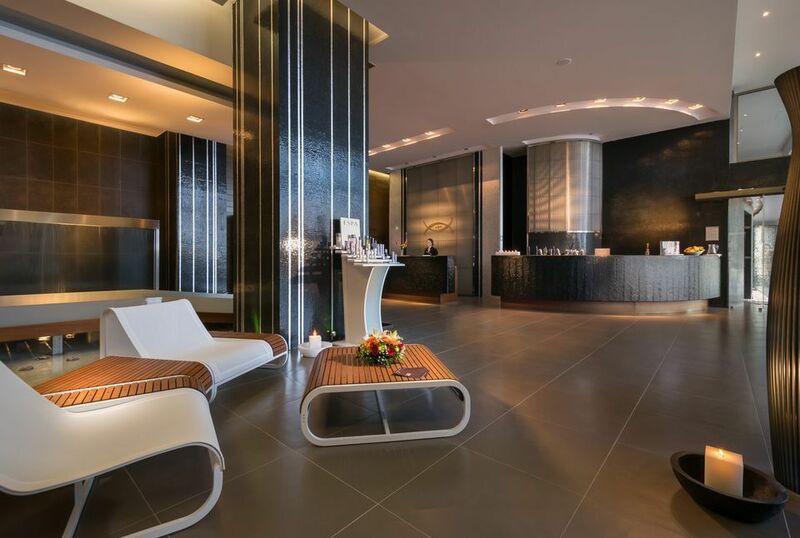 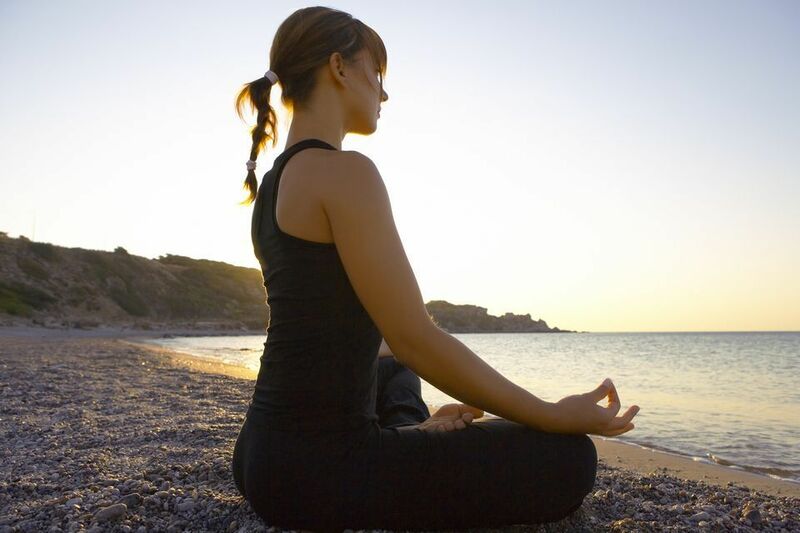 In addition, the hotel adopts a number of energy saving, eco-friendly solutions such as energy saving glass panels, use of gas, litter separation system, energy saving bulbs and other. 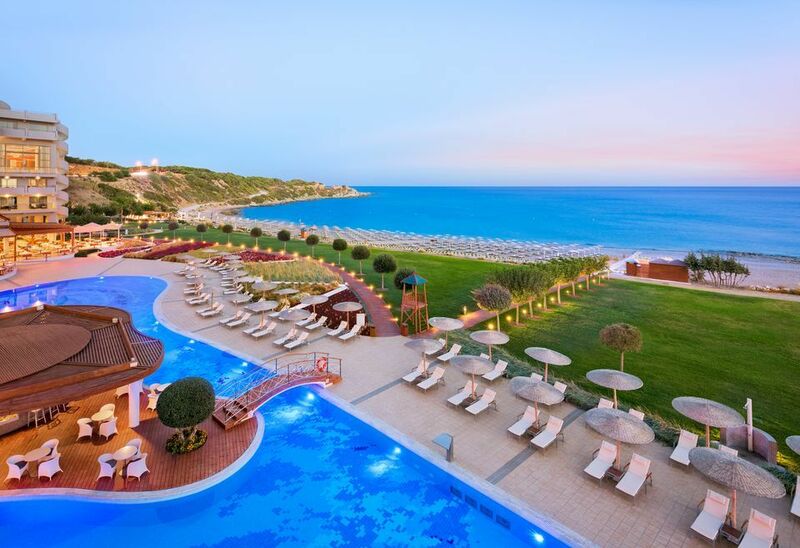 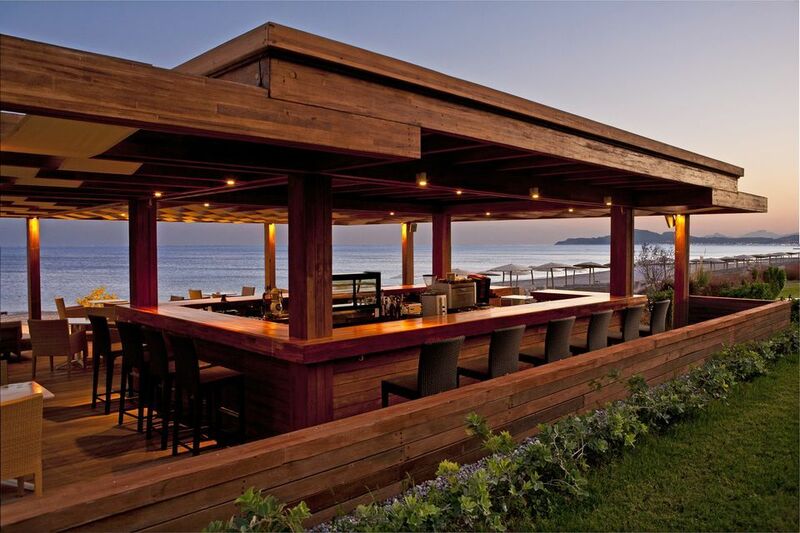 Besides, the property has received the “Green Key Award”, the “Hotel Energy Efficiency Award” and the “Blue Flag Award”, while it is also certified with “ISO 14001:2004”. 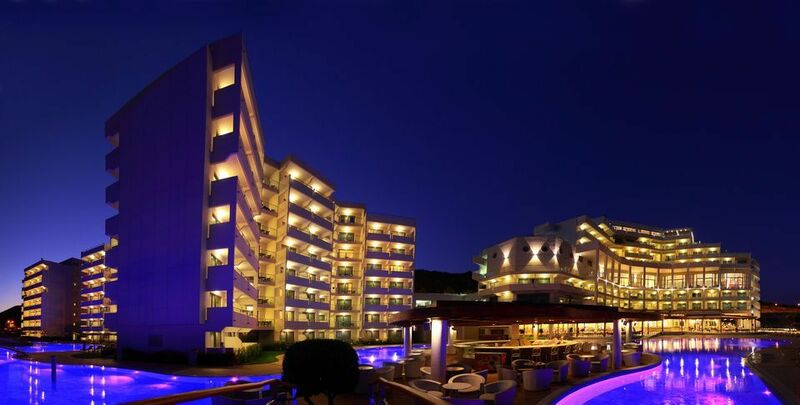 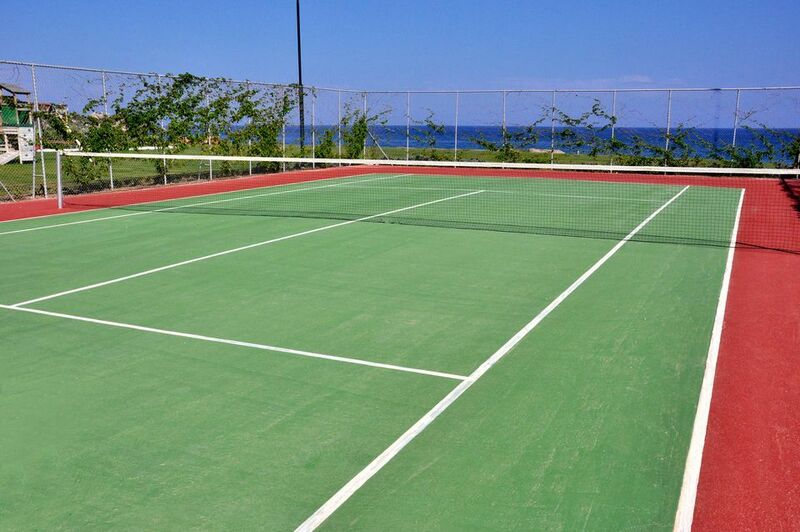 Our property operates from 28 Apr to 27 Oct.